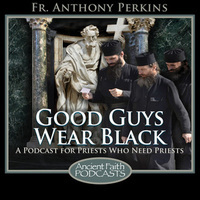 In this episode AFR blogger and podcaster Fr. Stephen De Young talks with Fr. Anthony about parish Bible study, why it is so fun and awesome, why some priests and parishioners are hesitant about it, and ways to draw people in and make the effort sustainable. Fr. Stephen posts his parish Bible study notes here and the recordings here; Fr. Anthony posts his notes here and the recordings here. Enjoy the show!